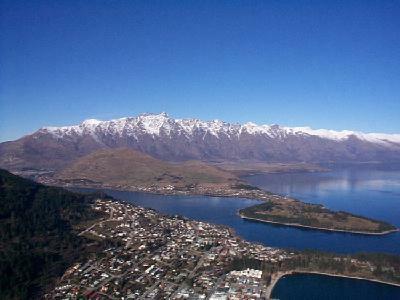 Queenstown is on the South Island of New Zealand surrounded by lakes and Mountains. What you see here are two of the most familiar of landmarks. The steamship is called the Earnslaw and the mountain range is called the Remarkables. Queenstown is positioned on Lake Wakatipu which was formed by glaciers and is the deepest lake in NZ. The steamer is the oldest ship in New Zealand and takes tourists on cruises around the Lake for lunch and evening meals and sight seeing. If you are lucky enough to be in Queenstown for New Years Eve the steamer has a special cruise to see the New Years in and deposits you back in Queenstown just before midnight. 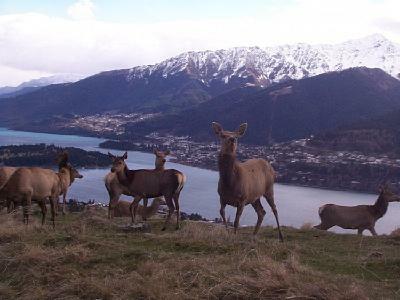 Queenstown is mostly well known for it's outdoor pursuits, especially in the winter. Many skiers from around the world come to Queenstown to ski one of the four mountains in the area. Coronet Peak, The Remarkables, Cardrona and Treble Cone. Apart from the skiing there are many other exciting outdoor activities; Fishing, Golf, Sailing, skydiving, White Water Rafting, Bungy Jumping, water skiing, parapenting, hiking, camping and many more both winter and summer. In the winter the specialty sport for skiers is Heli-skiing. A picture of Queenstown from the Skyline Lodge. 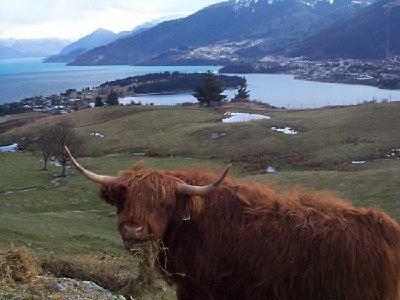 A yak on the farm with views of Queenstown in the background. 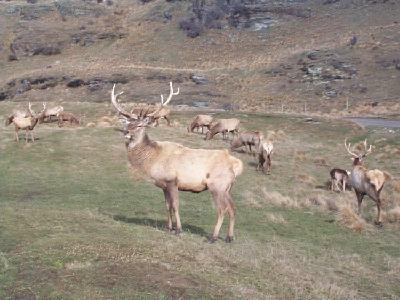 Couple of friendly deer with the snowy mountains in the background. Yes they have sheep in New Zealand. 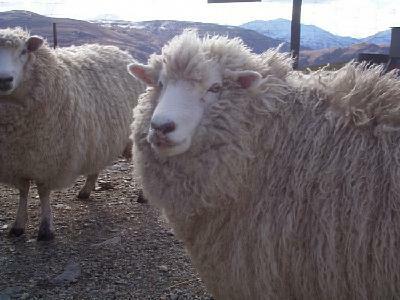 Some say the ratio is 4 million people to 64 million sheep! 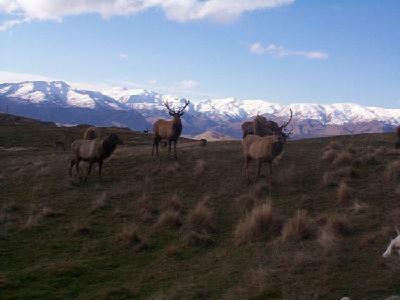 Some antlers in the foreground and the New Zealand Alps in the background. This guys appears to run the show. Standing tall like he owns the place!